The time of analog cameras have come and passed. With the emergence of IP cameras, people seem as though they cannot get enough of them. What if we were able to decrease the number of IP cameras as well? Axis control has released their NEW D2050-VE Network Radar Detector. 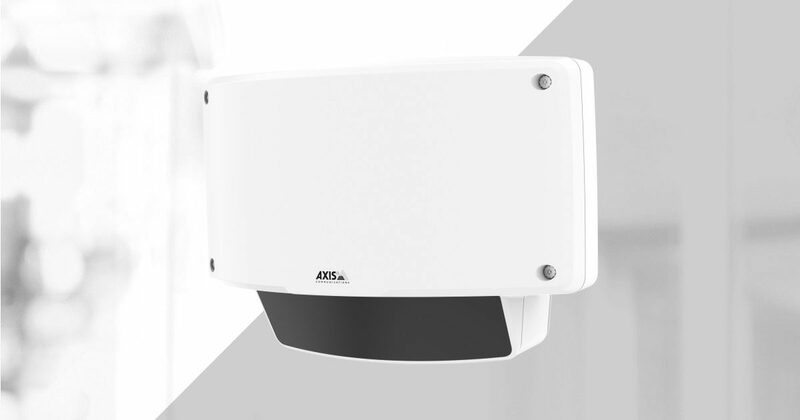 It is designed as a complement to your video surveillance system. What is the point of integrating a radar detector into your security systems? Firstly, radar’s keep false alarms to a minimum, and provide crucial information about detected objects that video cameras cannot – such as their exact position, speed and direction of their movement. Secondly, the integrated radar uses electromagnetic waves to detect movements. As radars are not sensitive to shadows, light beams, small animals, raindrops, insects and bad weather, false alarms are rarely triggered, if ever. Furthermore, working in parallel with Pan-Tilt-Zoom (PTZ) cameras, the radar is able to communicate with the cameras and assist with identifying actual threats and properly tracking them. To increase accuracy detection of objects, the cameras allows for users to upload a reference map, for example a ground plan or an aerial photo, that shows the area covered by the radar detector. The radar allows for the customization of multiple zones within the radar’s coverage (separate or within each other). Entering an outer zone can enable recording, and penetrating a secondary zone can activate a light, horn speaker and more, the options are endless. It works perfectly during the day and night, with a 120-degree horizontal coverage, as well with a 50-meter (164 feet) range. Additionally, it is fully compatible with Milestone XProtect and other major video management softwares. This groundbreaking product is available here for purchase and has already received multiple accolades, such as the the Best Product of 2017 from Detektor International Award for Alarm and Detection. In a modern era where thieves are becoming more creative and smart, there is no better way then to integrating a radar detector into your security system to prevent any unwanted entry. If you still have doubts on whether a radar detector is worth integrating, leave a comment below with your concern as I will be glad to respond. Previous Post Previous post: What Is All The Hype Of Biometric Access Control? Next Post Next post: Do Security Cameras Even Scare Away Intruders? This is the future of surveillance! very cool! If there is any topics you would like for me to cover, please do not hesitate to mention them. Can this be tied into an alarm system panel where the intrusion alarm goes off and cops are called when activated? The radar D5020 has output relays that can be physically connected into a zone of your alarm system. that output can be programmed to be triggered by a specific event such as motion detection, line crossing, area intrusion etc.